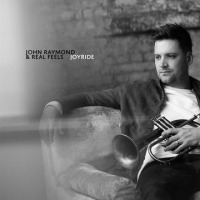 After releasing his album Joy Ride (Sunnyside Records) early in 2018, John Raymond took his band Real Feels on the road to experiment with the songs they created. Their philosophy seems to be predicated on the song rather than the instrument, as of utmost importance. Thankfully, none of the tunes they play here seem rigid or too tightly structured, as this approach can sometimes cause. Worth noting is that while Live Vol. 2 is a live recording, the audio quality is impeccable, and the audience at the Blue Whale club is generally subdued. Listeners are likely to forget that they are hearing a live performance from time to time, the songs are so well polished. Raymond might be the band leader, but he hands the reigns to drummer Colin Stranahan and guitarist Gilad Hekselman so often it seems almost more like an equal partnership. Hekselman has an impressive range and Stranahan is easily one of the most talented contemporary drummers in jazz. 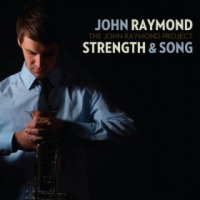 The band opens the album with Raymond's "Follower," a wise choice as the song begins slowly, quietly reigning in the audience's attention before building up a couple minutes in and becoming if nothing else a showcase for his talent on the flugelhorn. The song manages to be both moody and energetic, a rare combination. Gilad Hekselman flies through Bon Iver's "Minnesota, WI," a guitar driven song with an angsty blues rock edge that allows the band to stretch into new territory. This song, more than any other in the set, exemplifies Real Feels' desire to push the boundaries of jazz without losing sight of the genre. 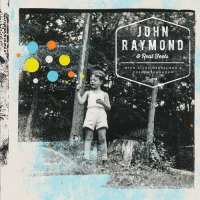 "Be Still My Soul" is a bit of an aural exploration for Raymond, who takes a traditional song and gives it a spacey, visionary touch. 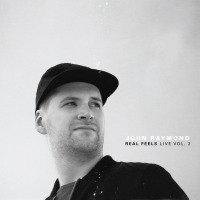 John Raymond's takes his own "Joy Ride" and tweaks it, doubling the song's length and adding a peculiar intro, having Hekselman pluck his way through the first minute to an effect sounding similar to flowing water, before meandering through what seems like a large improvisation on a song he wrote only months earlier. The tune offers more evidence that Real Feels isn't content to rest on their own compositions, they'd much rather continue to tweak them into something new, much like a chef adding new ingredients to a well-proven old recipe. 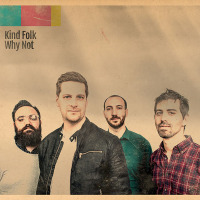 This all takes place before their unique take on Bob Dylan's folksy "The Times They Are A'changin.'" This final song of the live set consists mostly of a more somber horn playing than is heard during the previous hour, and Hekselman's guitar is both bluesy and contemplative, echoing through the first half of the song before Stranahan and Raymond crash down over it, soaring to a triumphant finale. While Raymond's playing is quite inventive, some of the electronic or pedal effects used on Live Vol. 2 do tend to remove a bit of the flugelhorn's warmth, replacing it with a mystical, ethereal quality. It's not necessarily enough to put fans off, but listeners who enjoyed Vol. 1 as one of the more remarkable releases of 2016 may yearn for a bit more balance between the adventurousness of the second and the impressive straight-ahead jazz of the first. Showing growth and innovation with Live Vol. 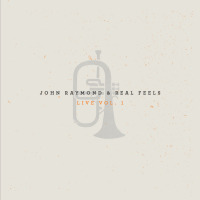 2, Real Feels continues to be one of the finest up and coming bands in today's jazz scene. Track Listing: Follower; Minnesota, WI; Be Still Intro; Be Still, My Soul; Joy Ride; The Times They Are A-Changin'. 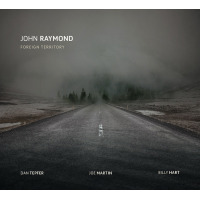 Personnel: John Raymond: flugelhorn; Gilad Hekselman: guitar; Colin Stranahan: drums.